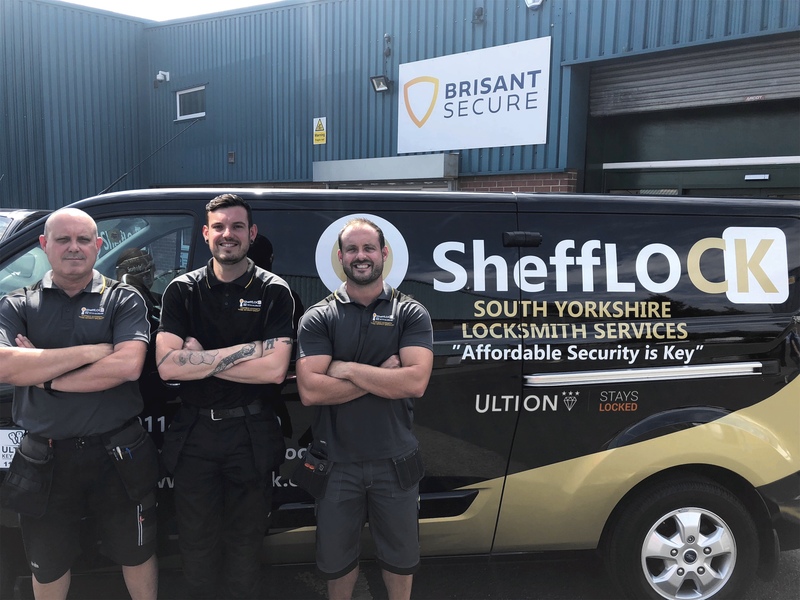 New locksmith business Shefflock, have quickly built sales up to 40-60 Lock Lock security handles and 60-80 Ultion cylinders per week by offering a super-secure combined package to homeowners. This has been supported by the use of the comprehensive marketing materials supplied by Brisant Secure. SheffLOCK is a family run business with father Kevin having served for over 30 years as a police officer, with sons Richard and Chris who also boasts 12 years in the force, the last 7 within a burglary prevention unit. The company which is just 18 months old have been quick to adopt the combined super-secure package of Lock Lock and Ultion as the ultimate burglar deterrent and have used the marketing support materials provided, active social media accounts and well branded vans as a means to success. One of their recent jobs was for the installation of 11 Lock Lock handles and Ultion cylinders and then a further 7 of each at a neighbouring property! With homeowners increasingly frustrated at the increase in burglaries, lack of police resources and other ineffective means of home security, the company believes that door security is the only protection. Chris Hanson, director of SheffLOCK commented: ‘As ex-police officers serving on the burglary prevention unit, we know that alarms and CCTV don’t stop anyone entering your home, they are simply a means of recording the incident or making others aware it is happening. Please visit www.shefflock.co.uk for information on Shefflock.